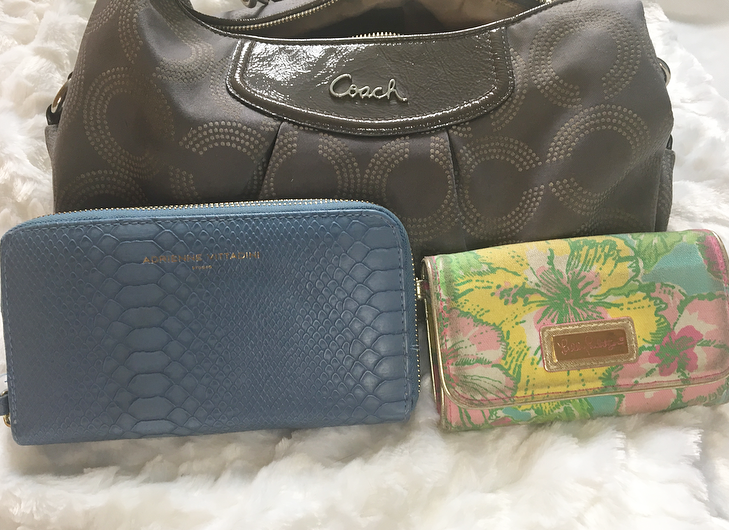 I've had this blog for almost two years and I haven't done a what's in my bag post, can you believe it? My purse needs a good clear out so I figured I would catalog what is in it while I clean it out! I bought this at TJ Maxx a few months ago. It's big enough to fit money lengthwise, change, cards, pretty much anything else I need! I love the pop of color. Inside of that I have the usual money and change, my student ID, driver's license, debit card, my TJ Maxx discount card, and a few gift cards that I plan to use soon, along with one free drink coin from a local bar for when I turn 21. I got this as a graduation gift from my aunts and I love it so much I wanted to put it to good use, even if it's too small to hold money lengthwise! Instead I put any other cards that I don't use as often in here. It includes gift cards and other vouchers. And that is all! I'm surprised there weren't more lip products, to be honest, usually I have a week's worth of lipsticks in my purse. I think I need to switch to a smaller purse so I don't carry as much junk around with me all the time. But hey, girl's jeans don't have pockets so we need somewhere to put it all, don't we? Do you carry a lot with you or are you a light traveler? 11 comments on "What's in my Bag?" such a cute purse! i love coach purses! the quality is amazing. My pocketbac is a staple in all of my bags! Love the post. I love these types of posts! I think it's my nosey nature haha how do you like the Glossier balm? These all sound like the musts. I carry some of the same things in my bag. Love seeing what people carry around with them! I have a work bag and a weekend bag and I clean them out pretty often. It's amazing how many toys end up in my bag if I don't clean it. I haven't done a 'what's in my bag' post either and I was planning on doing one. I always carry too many products, especially lipsticks and hand cream, last time I checked I had 5 lipsticks and 3 hand creams in my bag!